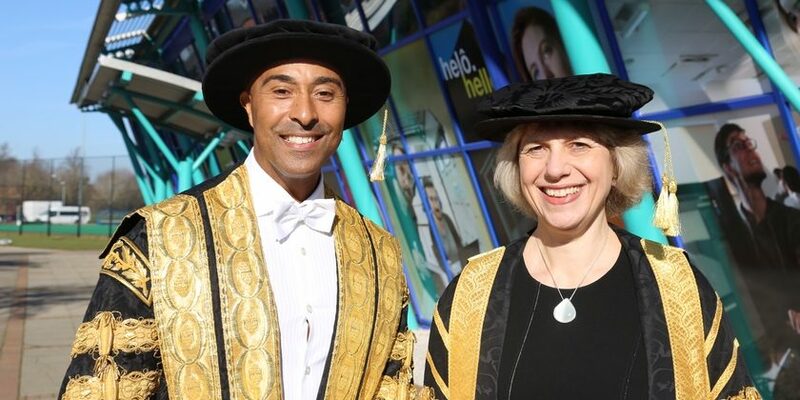 Sporting legend Colin Jackson has been officially installed as Wrexham Glyndwr University’s new Chancellor. 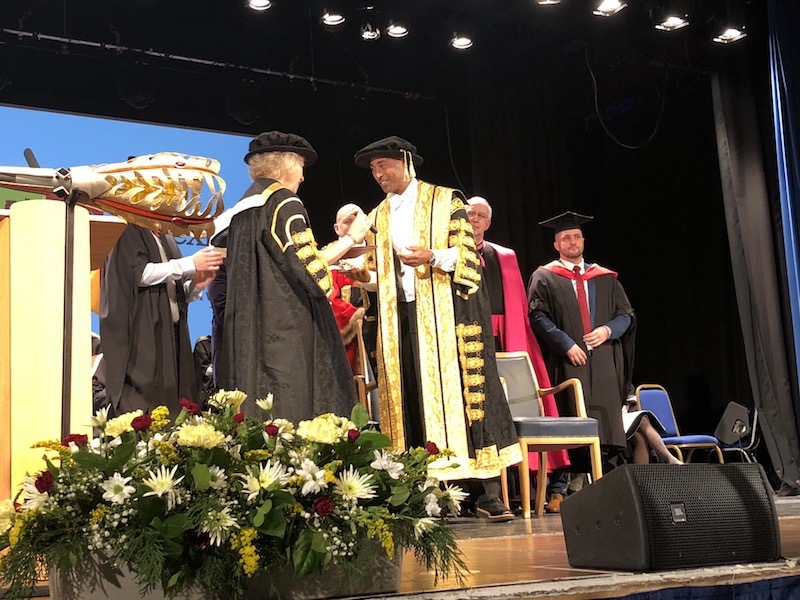 The world record holder formally accepted the ambassadorial post at a ceremony this afternoon – becoming the fourth Chancellor at the university. 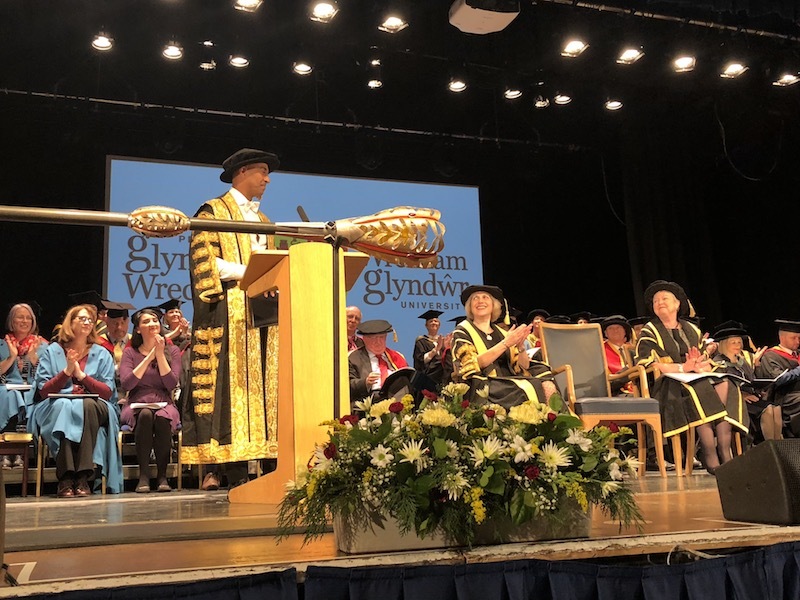 Speaking at this afternoon’s ceremony, which was attended by Wrexham Glyndwr University staff and students as well as local dignitaries and members of the local community, Colin spoke passionately about the future of the university and the local talent on offer. “It is a true honour for me to accept the post as Chancellor of Wrexham Glyndwr University,” said Colin. “We’ve so much to look forward to with the potential growth economically, retaining local talent that the university has created and nurtured and being at the forefront of the regeneration of Wrexham and the community. Born in Cardiff Colin is one of the finest and most-loved athletes Great Britain has ever produced, winning numerous records and multiple world titles. After retiring from athletics, Colin has seamlessly made the transition into broadcasting, most notably as an integral part of BBC Athletics. He was given an Honorary Fellowship for his services to sport by Wrexham Glyndwr University in 2016. It is the skills he developed and lessons learnt through his sporting career that Colin said he is looking forward to applying as part of his role as university Chancellor. Colin said: “Coming from the world of sport I have been very lucky to have to deal with so many issues and life lessons – from turning failures into success, handling pressure both internal and external; staying motivated, focused and being committed without being complacent. “All these traits I have used to help me become number one in the world and all these traits I’m going to apply in my role as Chancellor. 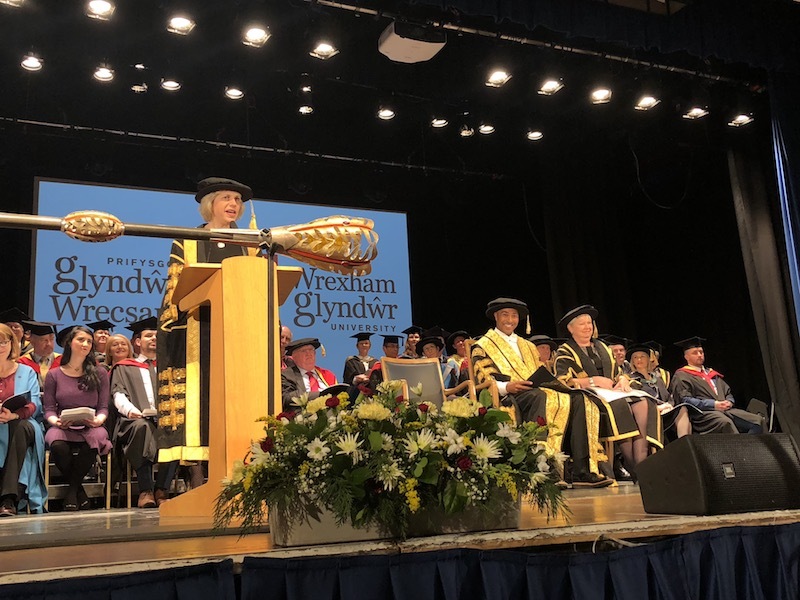 Vice Chancellor of Wrexham Glyndwr University, Maria Hinfelaar said: “We are truly proud and honoured to have Colin as our Chancellor for the next three years. Read 1,220,479 times in last 30 days, and 73,819,918 times since we started in 2011.